If you’ve never had baked pumpkin with honey & mint, then your life is going to change forever when you try this recipe! Baking enhances the pumpkin’s natural flavour while the honey adds a delicious sweetness & the mint adds a beautiful freshness. 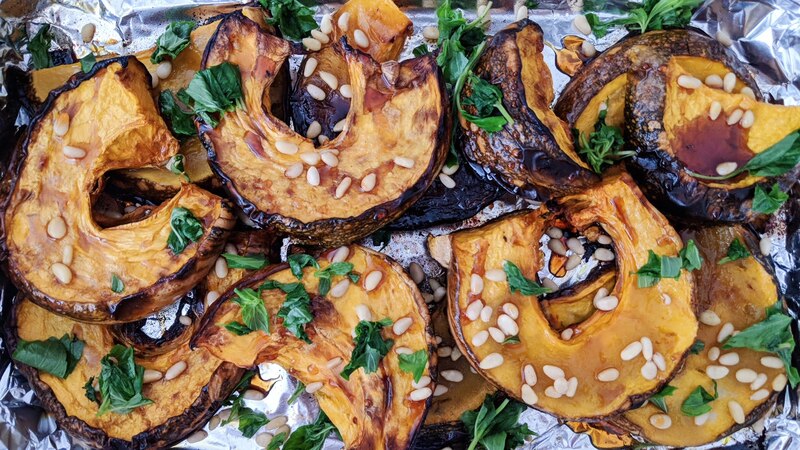 Top it with some pine nuts and voh-lah; You have the Perfect Baked Pumpkin! 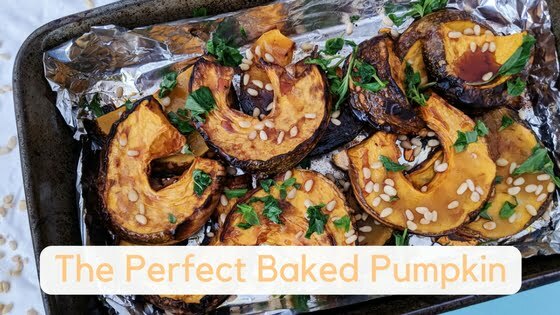 You can enjoy this Baked Pumpkin on it’s own as a snack, toss it through a salad or enjoy it along side your source of protein with dinner. Place sliced pumpkin into large baking tray & drizzle with olive oil. Toss pumpkin around to coat evenly. Drizzle with honey & pine nuts. Bake in oven until cooked through and desired crispy-ness is reached. Remove from oven, sprinkle with mint leaves. Serve & enjoy.